Last updated by Marcia Mayne at January 3, 2014 . 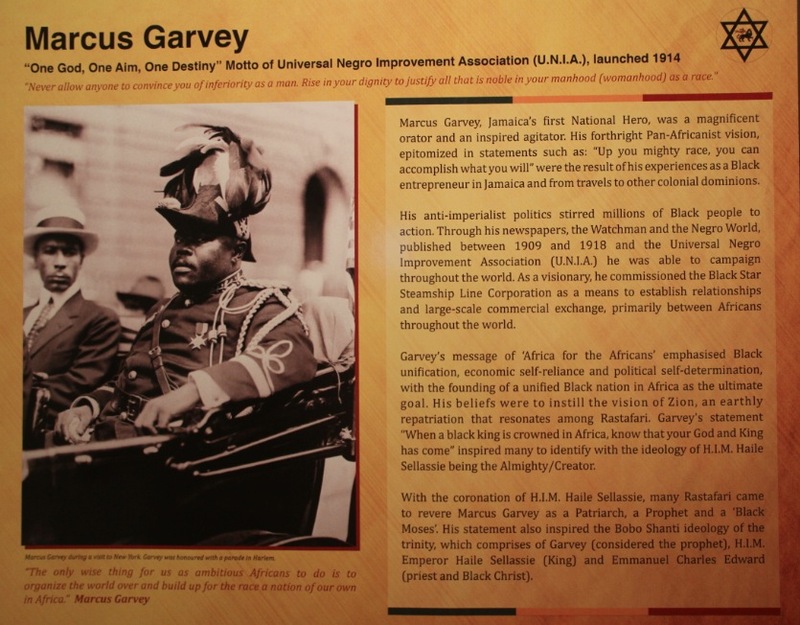 The Institute of Jamaica – Rastafari: Unconquerable! 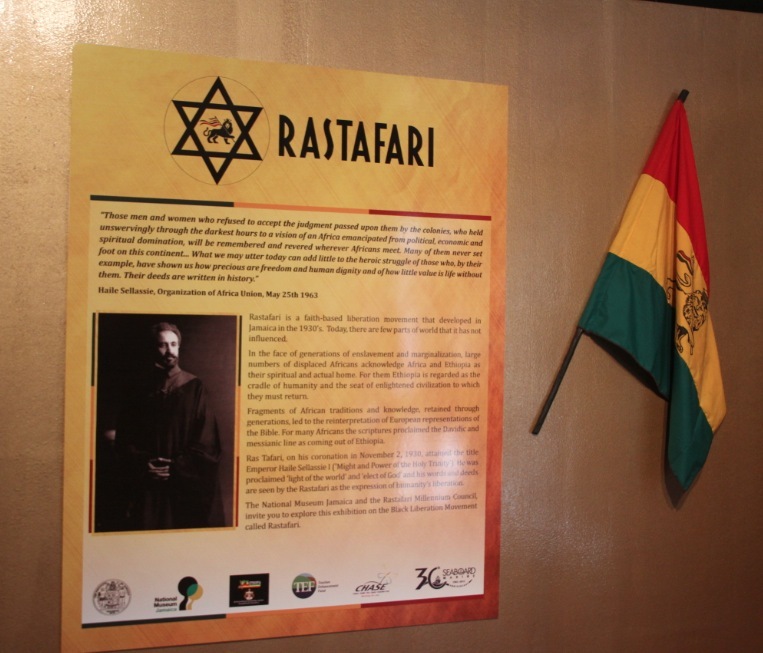 On July 21st, the Institute of Jamaica opened an historic exhibition entitled, Rastafari: Unconquerable! 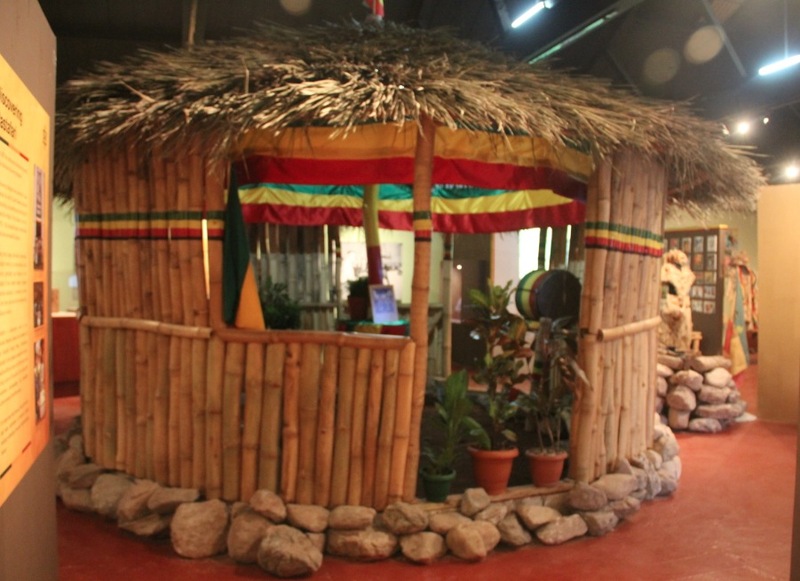 It is the first exhibition in Jamaica on the Rastas and as soon as I heard about it, I knew I had to see it. 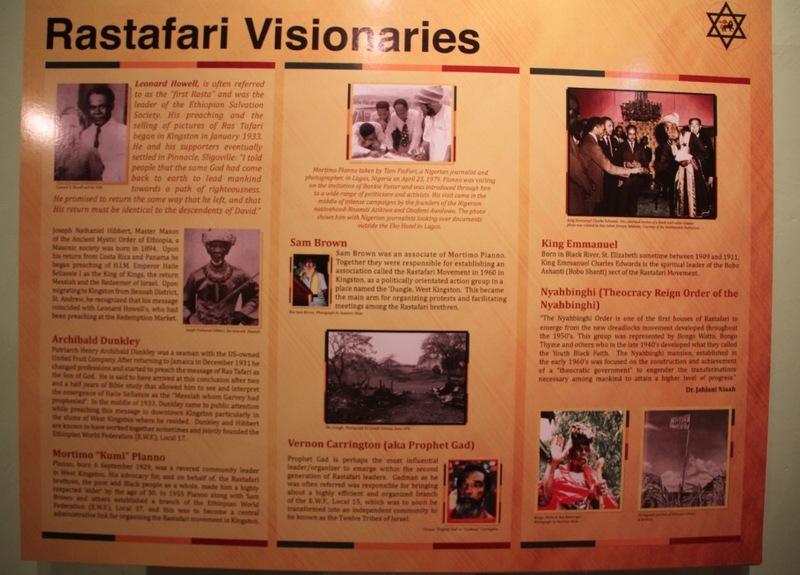 During the ride to the museum, I thought several times of One Love: Discovering Rastafari, the first exhibition on the Rastas that I had seen at the Smithsonian’s Museum of Natural History in Washington, DC. I was excited to see that Rastafari, the small movement that began in Jamaica in the late 1930s and has since spread worldwide, was finally getting consideration and scholarship. Discovering Rastafari, which ran from November 2007 to November 2011, left me wondering if that was all there was. I hoped the current show would be the definitive study on Rasta. Undoubtedly larger in space and scope, Rastafari: Unconquerable tells the story of the birth and evolution of Rasta through videos, installations, artefacts and personal stories. 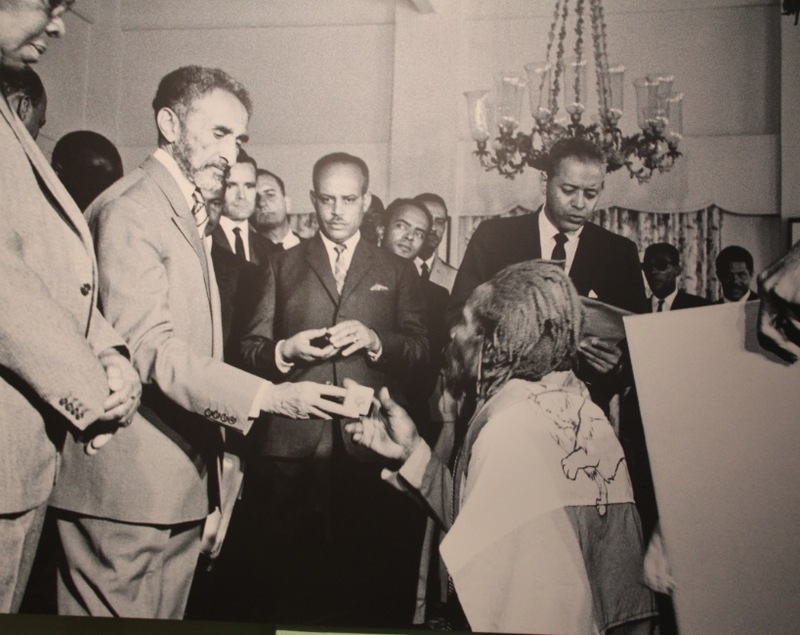 It covers several watershed moments in the history of the movement in segments organized around themes such as Revelation of Rastafari, its Philosophy and Evolution, and the 1966 visit to Jamaica of His Imperial Majesty Haile Selassie I. It also features a review of the attempts at suppression of the movement by Jamaican authorities, by far one of the most appalling periods in our history. Rastafari has come a long way since Lionel Howell, the first Rasta, founded Pinnacle, the home he established for his followers, and Marcus Garvey advised the poor and downtrodden to look to Africa for the crowning of a black king who would deliver them out of poverty. 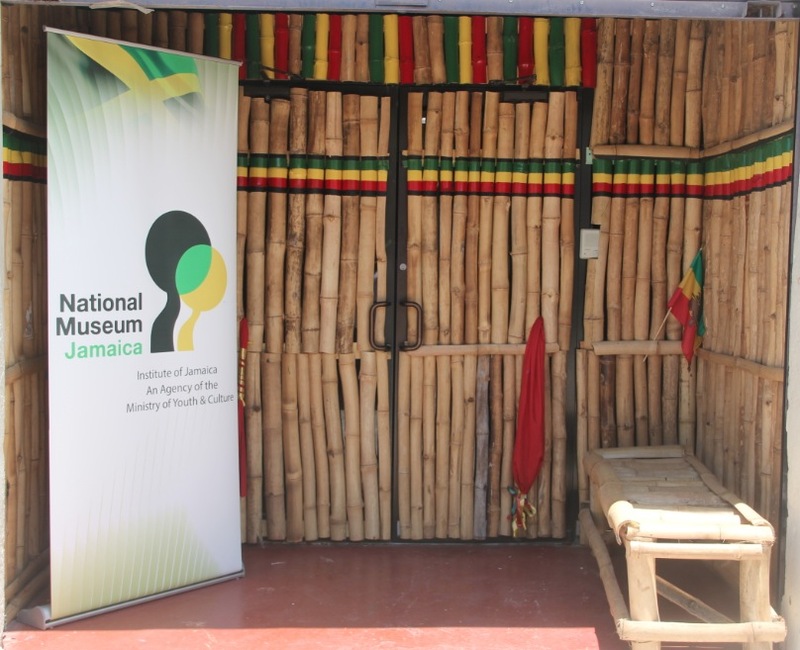 It’s exciting to see the museum finally undertaking this important step in recognizing Rasta’s influence on the society, and their presence in the world. One thing that struck me about the exhibition was its stillness, its flatness. It was as if the breath, power, vitality and passion that pulses through Rastafari could not, as the title suggests, be conquered even in this exhibition that celebrates Rastafari; the Movement which grew out of struggle, with larger than life visionaries who fought against the system, could not be tamed. Still, it’s an excellent first exhibition, a must see. The gumbay drum caught my attention at the Accompong Maroon Festival in January. I’d never seen a drum that was small and square and looked more like a stool than a drum. As I was leaving the festival, I noticed a small stall with storyboards explaining how gumbay drums are made. There were also several drums on display. The gentleman inside introduced himself as the son of the master drum maker. Although simple in design, the gumbay drum has several parts. The inner part of is called a baby, the outer part the frame. The top, which is usually made from the skin of the female goat, is the membrane. 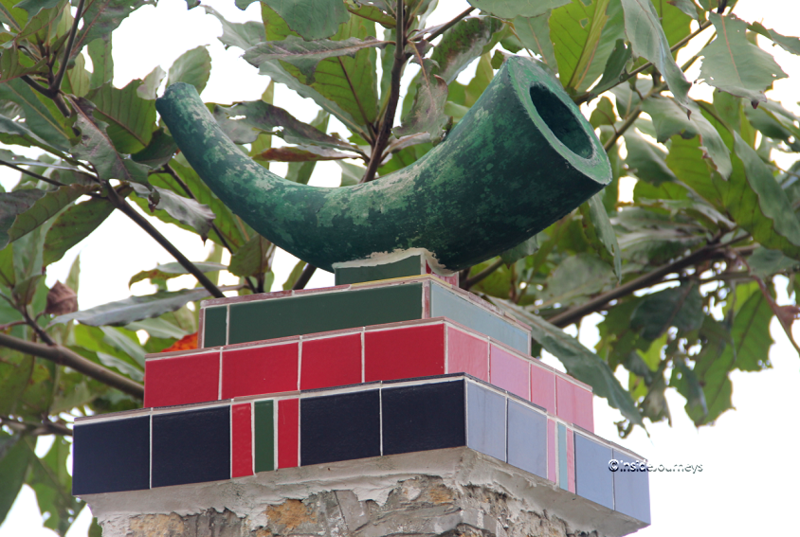 Maroons use the gumbay drum in their rituals and traditional ceremonies. They are also used to induce a trance state and to communicate with the ancestors. 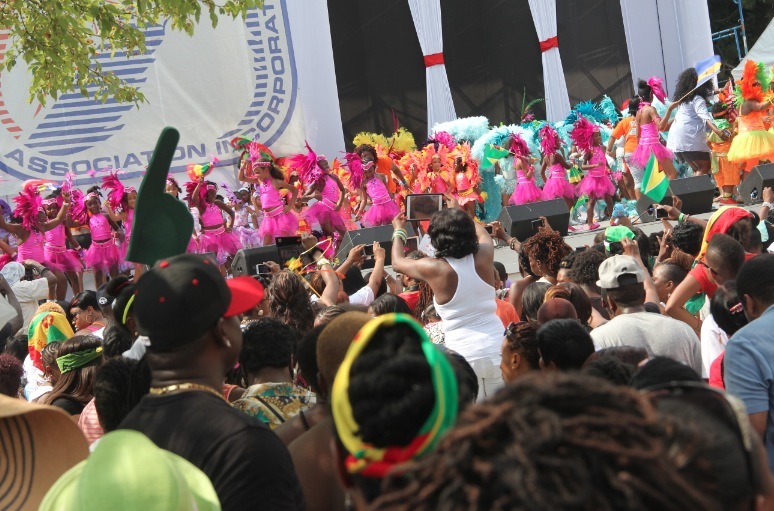 Emancipation Day, August 1st, marks the day slaves in Jamaica and the former British colonies in the Caribbean, were finally freed. On July 31, 1834, the eve of the day they would taste freedom, many slaves traveled to the tops of the country’s mountains so they could greet the sunrise and the dawning of the new chapter in their lives. At daybreak, scores more crowded into churches across the island to give thanks. Like the slaves had done years earlier, a group of friends and I decided to watch the sun rise on Emancipation Day. 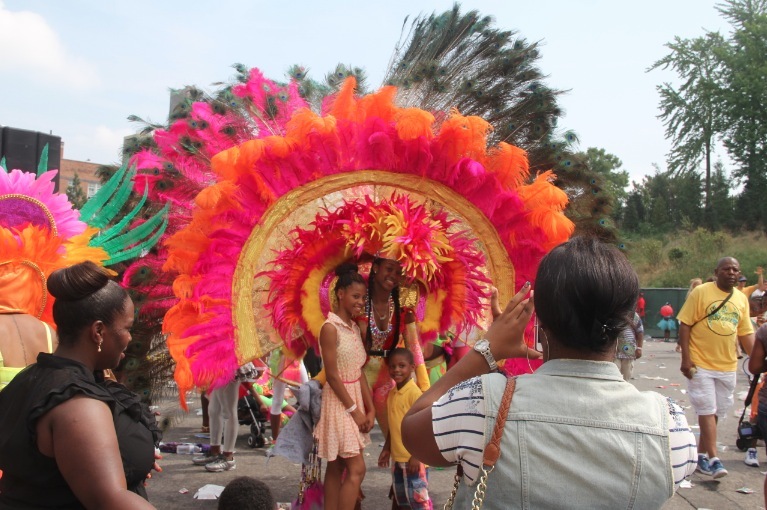 We traveled to Seville Heritage Park in St. Ann for a full evening of cultural performances. On the way, we wondered how the slaves must have felt — a mixture of excitement and fear, we were sure. They were not free economically. Their former owners, on the other hand, were compensated handsomely by the British Government for their loss. I’ve always been in awe of my slave ancestors and because of that I was excited to go to Seville to be part of their remembrance. I was excited to go to Seville for another reason. In Jamaican history, Seville is important ground as it is the location where in 1492 Christopher Columbus first set foot on our soil. 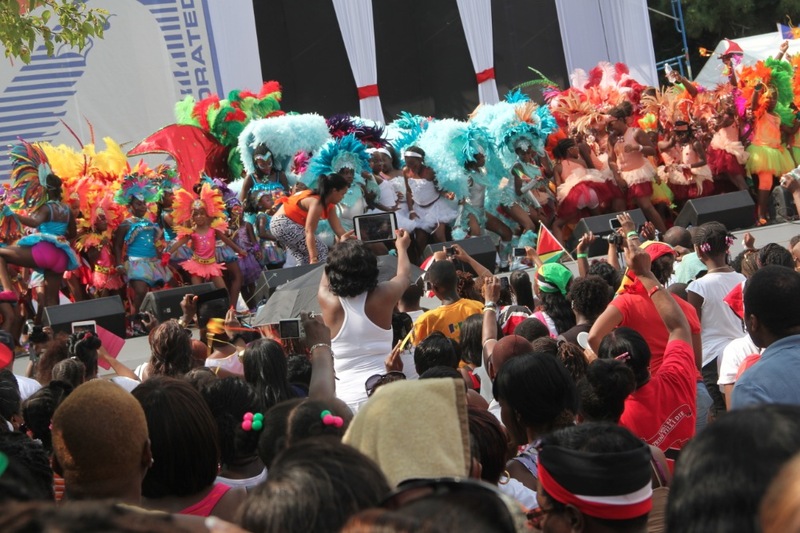 It is fitting then that Seville’s Emancipation Jubilee, the largest of the island-wide events, attracts up to 7,000 people. I was also looking forward to hearing the reading of the Emancipation Proclamation in Seville and greet August Morning, as some people call it, like my ancestors had done. By the time we made our way into the park, around midnight, the parking lot was full and cars lined both sides of the street. Inside, the excitement was palpable. As we arrived, the crowd burst into applause as an energetic group of drummers finished their act with a flurry of acrobatic moves. eventually we did find a place that gave us a view of one of the monitors. We got food and someone passed around a bottle of rum. We had been told to bring mugs for hot chocolate tea but that line was so long, we would still have been waiting. Sometime after midnight, we heard the sound of a helicopter above and someone said the prime minister, Portia Simpson-Miller, was arriving. She didn’t stay long after delivering her message. Someone in our little group said they felt raindrops and before we knew it we were scrambling to find shelter. The rain came in spurts and we took advantage of the lull to find our vehicle. I prayed that it would stop long enough for us to return to the park and see the end of this year’s observance. Unfortunately, it did not cooperate. We’re such wimps, I thought. Would those hardy people from whom we spring let a little rain dampen their celebration, I wondered as we agreed to pack it up and leave. And during the 2 hour drive back, not a drop of rain was in sight. Norman Washington Manley was born in the parish of Manchester on July 4, 1893. He was a Rhodes scholar and athlete, soldier (First World War) and lawyer. During the labor unrest of 1938, Manley identified himself with the cause of the workers and donated time and advocacy to the cause. In September 1938, he founded the People’s National Party (PNP) and was elected its president annually until his retirement in 1969. Manley and the PNP supported the trade union movement, then led by his cousin, Alexander Bustamante, while leading the demand for Universal Adult Suffrage. However, when it came, Manley had to wait ten years and two terms before his party was elected to office. Manley was a strong advocate of the Federation of the West Indies, established in 1958 and Jamaica’s participation in it. But when Sir Alexander Bustamante declared that the opposition Jamaica Labour Party (JLP), would take Jamaica out of the Federation, Manley, already well known for his integrity and commitment to democracy, called a Referendum, an unprecedented move in Jamaica, to let the people decide. The vote was decisively against Jamaica’s continued membership of the Federation. After arranging Jamaica’s orderly withdrawal from the union, Manley set up a joint committee to decide on a constitution for separate independence for Jamaica. He chaired the committee with great distinction and then led the team that negotiated the island’s independence from Britain. That settled, Manley went again to the people. However, he lost the ensuing election to the JLP and gave his last years of service as leader of the opposition, establishing definitively the role of the parliamentary opposition in a developing nation. In his last public address to an annual conference of the PNP, Manley said: “I say that the mission of my generation was to win self-government for Jamaica, to win political power which is the final power for the black masses of my country from which I spring. I am proud to stand here today and say to you who fought that fight with me, say it with gladness and pride, mission accomplished for my generation. Norman Manley retired from politics on July 4, 1969. He died on September 2. 1969. His second son, Michael, served as prime minister in 1972 and 1989. Manley was proclaimed a National Hero in 1969. Much of what is known about Nanny, or Granny Nanny as she’s also called, has been gained from oral history. One thing, however, is clear: Nanny was an outstanding military leader who was a thorn in the side of the British in their battles with the Maroons, communities of defiant slaves who escaped plantation life for the nearly impenetrable hills in the interior of Jamaica. She outsmarted, out-planned and out-manouvered the British at every turn. Nanny, an Ashanti, was a small, wiry woman with piercing eyes. She was born in Ghana around 1686. Nanny was brought to Jamaica as a slave. She and her brothers, Accompong, Johnny, Quao, and Cudjoe ran away from their plantation and hid in the mountains. Later, they separated to organize more Maroon communities – Cudjoe to St. James (Cudjoe Town), Accompong to St. Elizabeth (Accompong), Nanny and Quao to Portland, where they controlled an area known as Nanny Town. 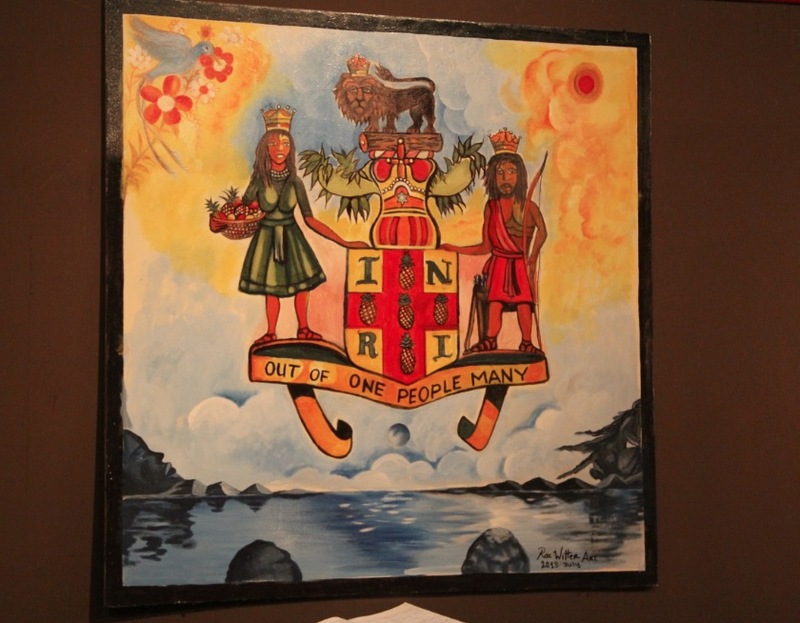 Nanny’s influence over the Maroons was so strong, that it seemed to be supernatural and was said to be connected to her powers of obeah. She was particularly skilled in organizing the guerilla warfare carried out by the Eastern Maroons to keep away the British troops who attempted to penetrate the mountains to overpower them. Her cleverness in planning guerilla warfare confused the British and their accounts of the fights reflect the surprise and fear that the Maroon traps caused among them. Besides inspiring her people to ward off the troops, Nanny was also a village elder, a wise woman, who passed down legends. 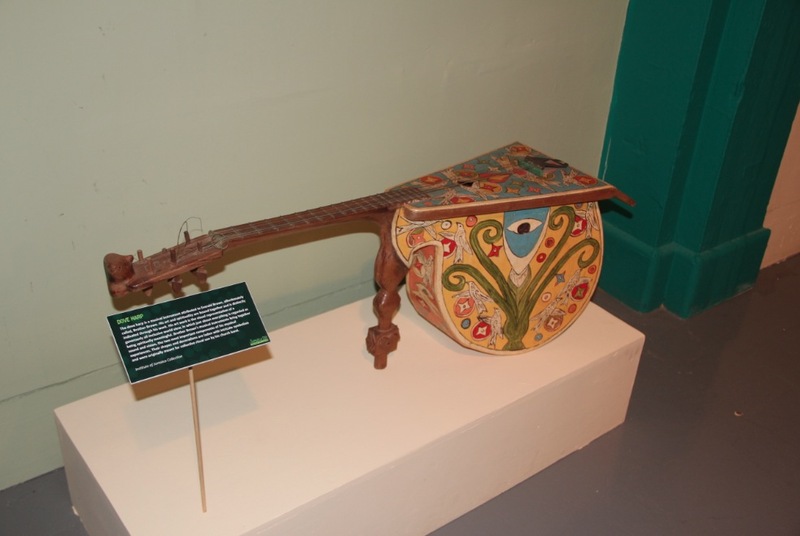 She encouraged the continuation of customs, music and songs, that had come with them from Africa, and which instilled in them confidence and pride. Her spirit of freedom was so great that in 1739, when Quao signed the second Treaty (the first was signed by Cudjoe for the Leeward Maroons a few months earlier) with the British, it is reported that Nanny was very angry and in disagreement with the principle of peace with the British, which she knew meant another form of subjugation. In 1976, Nanny was named National Heroine, the only woman to be so honored. Her likeness graces the face of the Jamaican $500 note, the “Nanny.” Her portrait is also used as the logo of the Gilder Lehrman Center for the Study of Slavery, Abolition and Resistance at Yale University. The Center sponsors research and conferences on slavery and resistance in the Americas.